Scenarios limiting global warming to 1.5°C describe ever-rising energy demand requiring major transformations in the energy supply including a massive scaling up of carbon capture and storage. We provide a contrasting perspective by developing a narrative of future change based on observable trends which results in low energy demand. Our narrative focuses on granular energy technologies, new forms of energy-service provision, and diversifying end-user roles. We describe and quantify changes in activity levels and energy intensity in the Global North and South for all major energy services consistent with our scenario narrative. We find that global final energy demand by 2050 reduces to 245 EJ, around 40% lower than today's levels despite rising population, income and activity. We then show how down-sizing the global energy system dramatically improves the feasibility of low-carbon supply-side transformation by renewables and electrification. Our scenario meets 1.5°C climate and other sustainable development goals, without relying on controversial negative emission technologies. 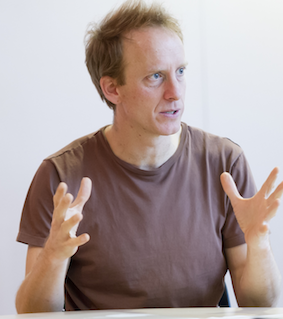 Charlie Wilson is a researcher in the Tyndall Centre for Climate Change Research (UK) for which he co-leads the Accelerating Social Transitions research theme, and a Reader in the School of Environmental Sciences at the University of East Anglia (Norwich, UK). He is also a Visiting Research Scholar at the International Institute for Applied Systems Analysis (Vienna, Austria). Charlie’s research lies at the intersection between innovation, behaviour and policy in the field of energy and climate change mitigation, working at both a systems level and a micro level.